Lost 6 p4p pts by signing max, he better win. Thanks Shkrelz for not grabbing him. @AndyWang screw you for selling me wolf tickets on that can Mazo in the FCL lol. @Jolldan I'll bet you 3k on Muhammad/Millender. I only have 1k currently plus show money for that fight. Eryk Anders vs. Khalil Roundtree Jr.
No chit, people are still playing this game?? If I like your comment when you guys recruit, that's letting you guys know I added him to your camp and deducted your camp wallet. 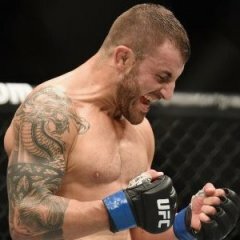 Is anyone gonna grab Poirier? Actually, only @Shkrelzhas the money to do it. What do ya say? Sorry I accidentally gave it to juice. I am releasing Cain Velasquez 25k for 12.5k. Is this a joke, or serious? 10k is the limit per the rules. I dont need more dms. @Shkrelz we can do this. If Holloway wins, I get 10k. If Poirier wins, I'll sell you Overeem for 15k. If you haven't gotten any recruits this week, theres a lot of decent fighters available for this week. Give me Movsar Evloev UR. He is normally a BW but not sure what he is fighting at since Choi is normally a FW. Bart i own Ivan Shtyrkov, he is fighting this weekend, it is not high lighted on the fight card. I will also recruit UR LW Alex Da Silva 10k.